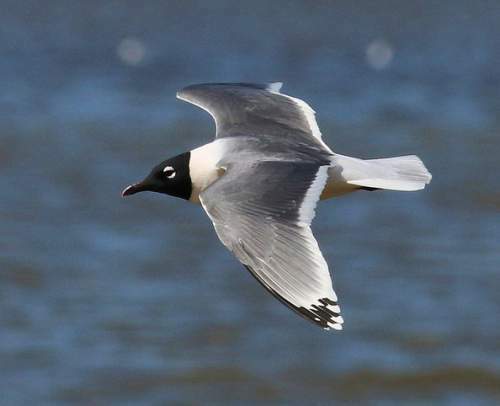 The Franklin's gull (Leucophaeus pipixcan) belongs to the family Laridae under the order Charadriiformes. 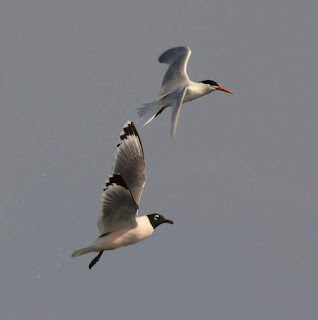 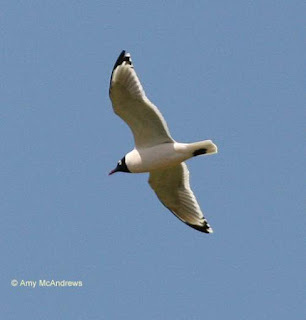 The family Laridae was introduced by Constantine Samuel Rafinesque-Schmaltz (October 22, 1783 – September 18, 1840), a zoologist, botanist, writer and polyglot, in the year 1815. 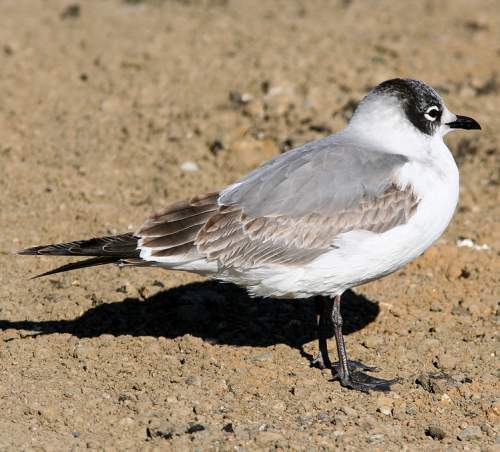 The order Charadriiformes includes six suborders. The suborder Lari includes the family Laridae. 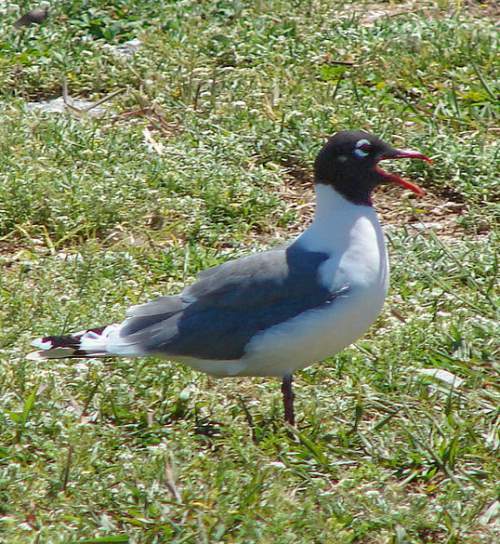 The family Laridae includes around 100 species arranged into 22 genera, including genus Leucophaeus. 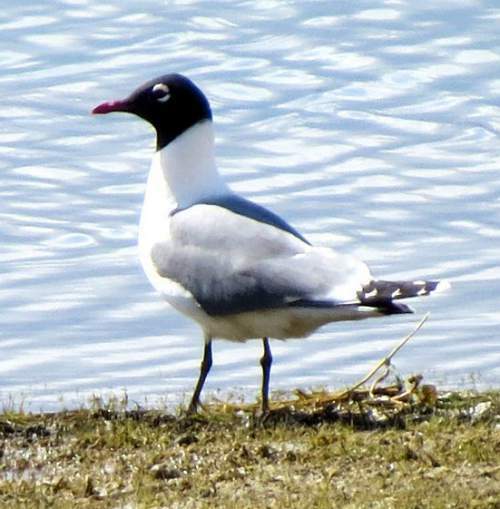 The genus Leucophaeus is divided into five extant species, including the species Leucophaeus pipixcan. These five species were earlier placed under the genus Larus. "The genus name Leucophaeus is from Ancient Greek word 'leukos' meaning "white" and the word 'phaios' meaning "dusky". 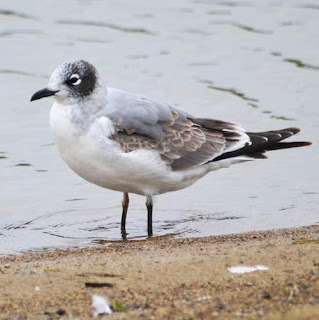 The species was named after Sir John Franklin KCH FRGS RN (16 April 1786 – 11 June 1847), an English Royal Navy officer and explorer of the Arctic, who led an 1823 expedition in which the first specimen of this gull species was taken. 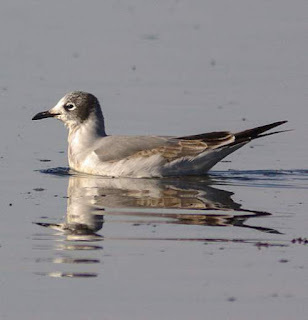 Current topic in Birds of India: Franklin's gull (Leucophaeus pipixcan) photos.